There are many unique ways that guests choose to remember the amazing times that they enjoyed on a Walt Disney World vacation. Some guests enjoy collecting pins, others purchase an ornament each trip, and others enjoy buying a picture frame to display their favorite vacation photo. A unique way that guests that commemorate each Walt Disney World vacation is by collecting pressed pennies. Pressed pennies typically cost fifty one cents and are made in small machines that press a penny using heat and weight and make imprint an image on the coin. These machines are located everywhere throughout Walt Disney World and often feature designs that coincide with the theming of the area that they are located in. 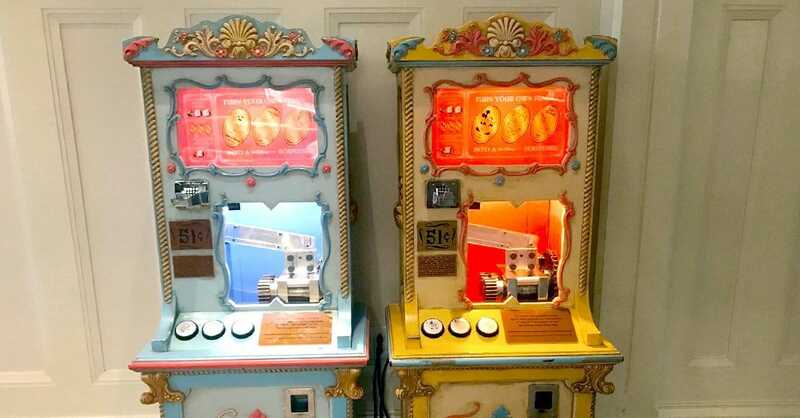 Despite being found throughout the property, many guests are totally unaware of the presence of pressed penny machines and miss out on the chance to collect wonderful and reasonably inexpensive mementos from a vacation. Here are ten of the most overlooked pressed penny locations in Walt Disney World to try on any vacation.